In short, a makerspace can be defined as a place of hands-on learning, but its full definition will also depend on the environment in which it is deployed. Concepts underlying makerspace activities, such as collaboration, shared expertise, experimentation, problem-solving, creative exploration, to name but a few, translate into engaging and productive learning environments. Within the context of an academic institution, a particular value can be imparted to a makerspace culture by the occurrence of cross-disciplinary interactions. As part of a current initiative to explore the role of academic makerspaces at UFV, the Library and Faculty of Applied and Technical Studies would like invite UFV faculty, staff, and students to a unique opportunity to observe a demonstration of makerspace activities facilitated by local educator and GearBots founder Dereck Dirom. UFV attendees are also invited to bring their children. GearBots is a robotics engineering program for ages 9-15 that provides an engaging and innovative way to promote science, technology, engineering, arts and math skills. A number of other skills are also developed, such as problem solving, critical thinking, leadership, teamwork, time management, organizational, and design. This event will focus on demonstrating the skills needed to learn how to code a robotics device, with past and current GearBots students offering to assume the role of teachers for UFV observers-turned-participants. Electronics activities and 3D printing will also be demonstrated. UFV attendees are encouraged to reflect on this event as a specific demonstration of what an increasing number of university students in the very near future will be capable of and what kinds of learning options they will be expecting from a post-secondary educational environment. This event is also an opportunity to meet other interested UFV parties and begin or continue discussions about the many ways makerspace concepts and activities can augment the courses, programs, and general educational experience at UFV, including how existing University resources might be leveraged to this effect. The Faculty of Applied and Technical Studies partners with and supports the GearBots program in a number of ways, including space allocation in the Trades and Technology facility for ongoing GearBots robotics and coding workshops and initiating a GearBots presence in the roster of UFV summer camps on both the Abbotsford and Chilliwack campuses. 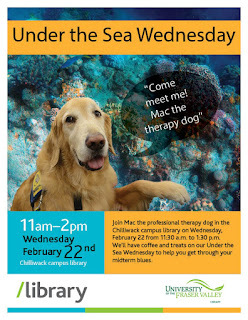 This event will take place in the Abbotsford campus Library from 11:00 am - 1:00 pm on Saturday, March 4th. This service outage has now been resolved. Proquest databases are now available as usual. Amazon Web Services has had a major crash today. This service is used by many companies to host their web services. The UFV Library's Proquest Databases are affected, including Canadian Business & Current Affairs, Canadian Newsstream, Sociological Abstracts and more. Other sites may be experiencing slowdowns. There is no ETA for a resolution. Posted by Patti Wilson, Feb. 28, 2017 1:23 pm. 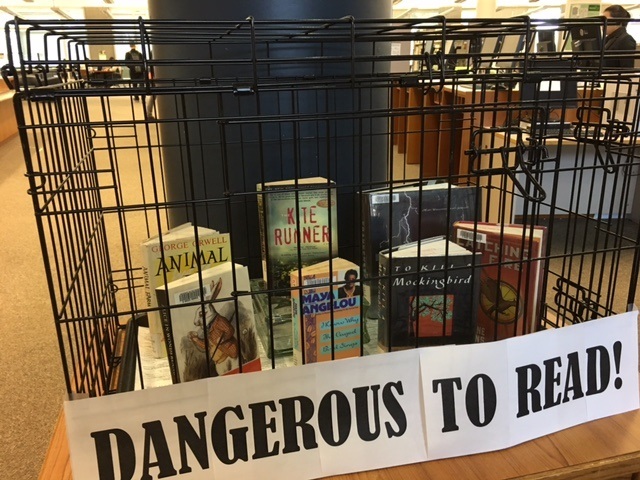 Drop by the Abbotsford campus library to see the vast array of books on display that have been challenged and / or censored over the last 100 years. From Alice in Wonderland to Animal Farm, and from Harry Potter to the Hunger Games, you'll be surprised at what shocks and offends. One thing is certain in a good library, there will always be something to offend someone! 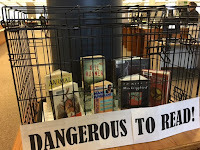 For more information on Freedom to Read Week including a selected bibliography of challenged books, please click here. The ITS team will be performing maintenance work on the Wireless network the morning of Sunday Feb 19th. The goal is to complete the work in G bldg before the library opens at noon; however, there may be some minor disruptions should the work go past that time. De-stressing event in the Chilliwack library, Wednesday, February 22, 11 a.m. to 2 p.m. Join Mac, the professional therapy dog, and enjoy treats during our "Under the Sea Wednesday." Due to inclement weather UFV is closing at 3PM today (Wednesday). This includes the libraries! Our research databases and e-books will remain available for use off-campus, as usual. Please check the UFV webpage for updates on campus closures.